Fantastic move in condition home in Flora. Most everything has been updated . Lots of natural woodwork. Three bedrooms and 1.5 baths. 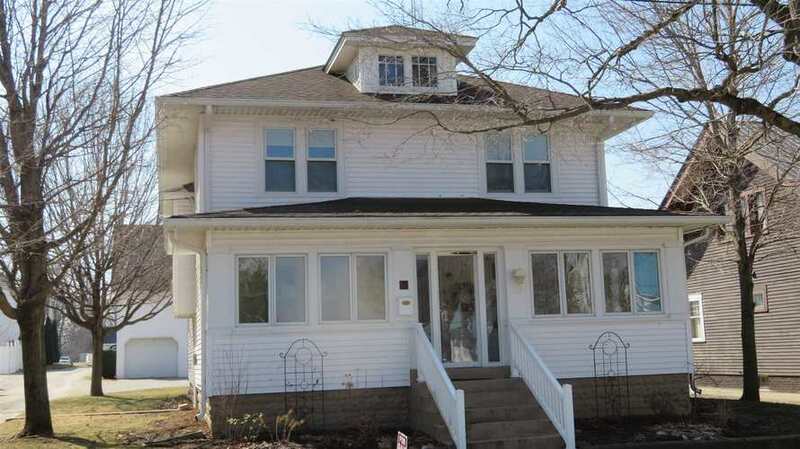 Large rooms plus a large detached garage with enough room for cars and work shop. Beautiful kitchen with Zinn cabinets. Enclosed front porch plus a nice size mud room entering the back of the home Full basement. This home shows much tender loving care and pride of ownership. Directions:ST RD 18 TO BRIGHT ST. TURE NORTH TO MAIN THEN LEFT TO HOME.